[email protected] Doshi for your experience sharing with us. i have frozen shoulder can capalbhati help this to release. i also want to loose weight can this help? for weight loss, Kapalbhati is the best breathing technique. along with kapalbhati. Daily drink a full glass of lemon juice with lukewarm water add one teaspoonful honey. Take this solution regularly when you wake up from your bed. Hi. Pls tell me that we have to inhale once at starting or we can inhale in between also? It is continuously exhale process or exhale inhale , exhale inhale process? Within how many months wil i loose weight if i try kapalbhati on empty stomach for 10mins in the morning? @su, benefits take time, first increase the time day by day (20 to 25 minutes). Along with kapalbhati take Aloe Vera juice with empty stomach for weight loose. Keep practising. People having acidity or gastric problem should not do this pranayam? kapalbhati Pranayam is best for gastric and acidity problems. So you should do this. i have a blocked fallopian tubes at right side and the left one is open. can kapalbhati is usefull for this ? if yes, how long should i do kapalbhati daily? @deepti, In Asana, do Matsyasana, Dhanurasana, Uttithapadasana, Bhujangasana, Padahastasana, Gomukhasana, Paschimottasana. Yes Kapalbhati is useful in this and Anulom – vilom also. If these tubes get blocked it gets difficult to conceive and have a baby. The fallopian tubes might get blocked due to several reasons such as disease that cause an inflammation of the pelvic region, gonorrhea, miscarriage, contraceptive methods and pregnancy termination. You need to concern a gynecologist before you start any yoga Asana or exercise. @Deepti, In Asana do Matsyasana, Dhanurasana, Uttithapadasana, Bhujangasana, Padahastasana, Gomukhasana, Paschimottasana. Yes Kapalbhati is beneficial in this and Anulom – Vilom Pranayama also. How to perform bhugatana kapal bhati.please Provide detail method citing finer points.how to bring out water in the mouth from nostrils? @Hari for doing jal neti (bring out the water from nostrils) you have to clear the basic asana and pranayama, and this is comes under the shatkarma. for doing this you need one trainner. coz jal neti needs trainner’s attention and supervision. Very Soon we provide an article regarding Bhugatana Kapal Bhati. so connected with us. And See our Shatkrama section for jal neti. I’m having acidity heavily from 2013. In 2014 endoscopy report was normal. In 2015 report says grade a oesphagatis. In 2016 reports says hital hernia but in 2017 report says normal. All medicines are reducing acidity but at the same i’m getting heat boils , body gets heating and acidity increasing again. I could not understand what to do . I started kapalbhatia pranayam acidity reducing but again same problem heat increasing.. please help i could not do shetali pranayam as i cannot roll the tongue. And i dont understand why kapalbhatia pranayam increasing temperature in body as it is natural. My age 26. Please helpp will waiting for your reply. @krihna Chaitanya,First of all thnx for sharing your point. Kapalbhati pranayam produce the heat in the body but not too much. If your not able to do Shetali then try sheetkari for cooling down your body. As you Said, that you couldn’t roll your tongue while doing shetali, for this roll your tongue as much as you can. Along with do Anulom vilom. Take balance food, avoid fast food, oily food and spicy meal. For acidity Follow these asana: Paschimottanasana, Supta Badhakonasana,Marjaryasana,Ardha Matsyendrasana. 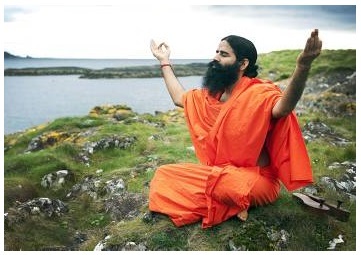 After taking meal do Vajrasana daily. If your stomach is clear then, these disease are kicked away. Constipation is the common problem for most of stomach related problems. Allopathic medicines is not the permanent solution for your problem. Please believe consult an ayurvedic doctor and do above mention asana and pranayama daily. May god bless you. Keep in touch with us. @Krishna, It’s sound good that you cured your acidity by practicing yogic activities. It’s all your hard work and practice. For your newly born problem, first of all don’t be slaved of gadgets. Before washing your face, take some water in your mouth but don’t drink it and splash your eyes with water 2 – 5 times after that spit your mouth water. Tratak kriya is also beneficial for you. In Pranayama, keep practicing Anulom – vilom along with Nadi Shodhana Pranayama. You can also use Patanjali eye drop called Drishti. Spent less time with laptop and smartphones. Thank you, Hope you’ll get over from your problem soon & May God bless you. @Krishna, Very soon we upload the video on Shatkarma. Along with we also describe the Tratak kriya in our video. Thank you for connecting with us. Keep practicing & May God bless you. @Krishna, also read our article on Nomophobia, this will helps you a lot. @Ghorpade Onkar satish, dark spots, dark cirlcles is not a serious skin diseases,Psoriasis and eczema are the seroius skin disease. Dark circles and dark spots are depends on your lifestyle or eating habbit. Do kapalbhati & Anulom Vilom for 15 minutes. Include green vegetables in your diet, amla juice and Aloe vera gel is good for you. Don’t use chemical based products. For increasing weight do Salamba Sarvangasana (Shoulder Stand), Bhujangasana,Pawanamuktasana,Dhanurasana,Chakrasana. And perform Vajrasana after taking meal along with Practice Kaplabhati and Anulom vilom it also helps to increase the weight. You also take Ashwagandha Powder with milk. I have a low bone marrow and too much of nech and bone pains… please suggest me some of them to increase my bone density and bone health… My age is 23. @Pawani, Here are some Yoga Posture for your bone health. In your diet take 1.4 to 1.5 grams of protein per kilogram of body weight. Meat,fish, poultry, dairy foods, vegetables and legumes are good source of protein. Iron: – Green Leafy Vegetables such as spinach, nuts, whole grains. YOur bone marrow also needs Vitamin B6 to form hemoglobin. You must take 1.2 to 1.4 miligrams of vitamin from your every day diet. Milk,potatoes, fortified cereals, eggs are good source of Vitamin B-6. You can also take Shilajit capsule for bone health. Please ask an ayurvedic doctor before doing these. Hi . I am practicing kapalabathi pranayama since 6 months . I am developing mild headache and mind is stressfull . I have a doubt in the technique . What should be the position of my tongue with mouth closed in kapalabathi . @Dr. Hari Babu, Keep your mouth closed during this, and if you have mild headache during practicing this Pranayama then keep your breathe stroke slow. Or you can also skip this Pranayama for some time. I have psorises, is it benificial for me?? @Devang Shah, Psoriasis is a chronic inflammatory skin disease seen as redness, scaling of various sizes. Perform, all the yogic activities in the morning, it is important for you. Naturopathy treatment is beneficial for you so you may also try Naturopathy for once. Thank you & Hope you’ll get over from your problem very soon, God bless you. you & May God bless you. as i am suffering from high blood pressure.. i am taking medicine to maintain bp. that is in controlled.. my question is shall i do anulom vilom n kapalbhati.. that practsing regulary. should i stop this. Sure, you can perform Anulom Vilom. Avoid Kapalbhati for some time. Check your BP if it shows normal then you can perform Kapalbhati but with slow strokes. Anulom Vilom, Nadi Shodhana, Chandra Bhedana, and Udgeeth Pranayama is best for you. Can sexual stamina increased by kapalbhati and what time is best to do for it? Child Pose. along with perform Nadi Shodhana Pranayama & Anulom Vilom Pranayama. Sir…I have cervical problem. I do some simple exercises in the morning. I tried Kapalbhathi and Anulom Vilom too..but i cant do it more than 5 min..plz let me know , whether the Kapalbhati Pranayam performed for 5 minutes is beneficial? And what are the foods to be avoided for my problem? Is it that the Vaatha nature people are prone to bone /muscle related problems? @Ravika M Rai, Sorry for the delay, Do kapalbhati and Anulom – Vilom as much as you can. Don’t push yourself over to your limit. Rotate your neck slowly in the clockwise and anticlockwise direction. Always try to keep your posture correct. Don’t tilt your neck forward while you are doing some work. Try to keep your neck straight. Perform also Nadi Shodhana Pranayama With Kapalbhati & Anulom Vilom. 4.Ardha Shalabhasana (Half Locust Pose). along with do meditation and Shavasana. Avoid those work, by which your neck got more pain. You can carry on with your normal diet. People in which Vaata is the dominant or Vaata nature got bone or muscle related problem easily. But daily practice of Yogic activities calms down this problem. Yoga Maintain and balance the level of Tri Dosas in your body. Hope you’ll get over from your problem Very soon. You’re most Welcome. Keep connected with us & keep your practice going on. One of the most powerful pranayama. @Shekhar, Thanks for giving your opinion about Kapalbhati. Ya! definitely its a one of the most powerful Pranayama. It’s about 2 months that I am doing Kapalbhati (2*150) 2 times a day and each time 150 storke. Besides I do Sudarshan Kriya as well. During first 40 days my depression came up and had a lot of itching and still I have some itching in my head!!! I want to know is there any wrong doing those together because come of different school? I am male and 55 years old. Hello, nice to hear from you. Come to the point, as you mentioned that depression is the major issue of yours. Do kapalbhati only one times a day along with Perform Anulom – Vilom and Nadi Shodhana Pranayama. These are the best stress/depression buster. for few days avoid the practice of Sudarshan with Pranayama if you are uncomfortable with that. Otherwise, practice both techniques both (Sudarshan & Breathing technique) are beneficial for you. Hope you’ll get benefits from our advice. Thanks for your valuable response, keep connected with us. My wife is suffering to the fibroid and her left tube has blocked. is possible to improve through yoga. There is no proof that yoga postures will shrink your fibroids, but they may help reduce the discomfort as they help open the abdominal area and massage the lower spine, two areas that are common problems for women with uterine fibroids. Nadi Shodhana along with these you have to make your willpower strong and this can easily be done by meditation so also advise your wife to perform These asanas, Pranayama, and meditation. Garlic, Citrus fruits(like strawberries, kiwis, orange, amla). Don’t lose your hope. May God bless You and your wife. Hope your wife will definitely get over from this problem. Can we practise kapalabhati, ujjai and Bhastrika Pranayamas together in the early morning. If it is allowed, then what is the sequence to be followed? And how much time should be dedicated to each of them? OM! 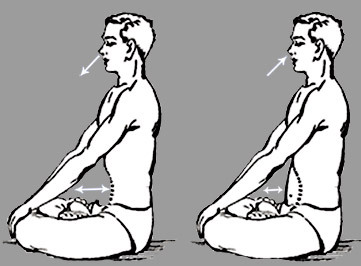 if you have not ample time then you can perform Kapalbhati, Ujjayi & Bhastrika for 5 minutes/ Pranayama. day by day increase your time. Note that Ujjayi, Bhramari & Udgeeth are performed one after other in the sequence. But if you’re running out of time then you can follow any Pranayama. Thanks for the comment & keep connected with us. Is kapalbathi is beneficial for weight gain?? Kapalbhati maintains your weight, but people think it is only for reducing weight. But somewhere down the line, Kapalbhati is for both who wants to reduce or gain weight. Take ashwagandha powder with milk, take dates, almonds regularly you can also eat a banana it helps you a lot. After taking the meal, perform Vajrasana regularly. I would like to know the sequence of pranayama s so I can do these for good results. Om, nice to hear from you, it sounds good that you want to know the sequence of breathing technique. For this go to our Pranayama section. Thanks for your valuable comment, keep visiting our site. Nice Information for us Specially for yoga lovers. Keep.posting such a good articles. Does it help on height growth too? Does it help in height increase too? Will it cure lipoma ? (small painless mass inside skin) I have it in stomach , hands and legs.